The family of a lost dog name Rue found something far better than a wormhole to cut through space and time. They found a firefighter. 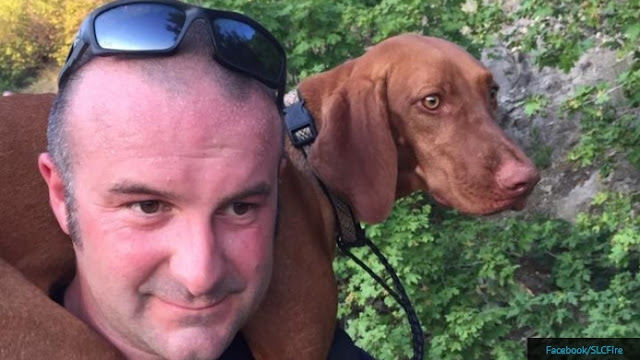 Though it often takes weeks or months to locate and capture a dog-on-the-run in the wilderness, in just 28 hours Rue descended from her mountain hideaway on the strong shoulders of firefighter Tony Stowe. 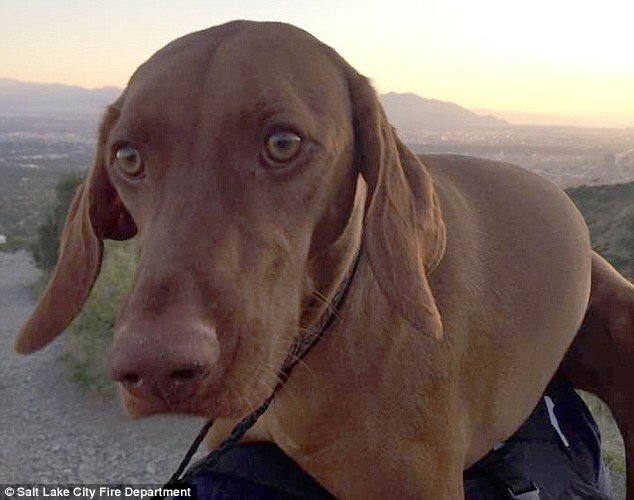 Loud noises are the leading cause of runaway pets and Rue’s poison was a blast of fireworks set off near her Salt Lake City home. Thunderstorms and the sounds of contractors making home improvements are equally frequent catalysts for pet disappearances and few cases end end as rapidly or happily as Rue’s. It was around 5 o’clock on a Saturday afternoon last month when Rue took off like a jackrabbit. 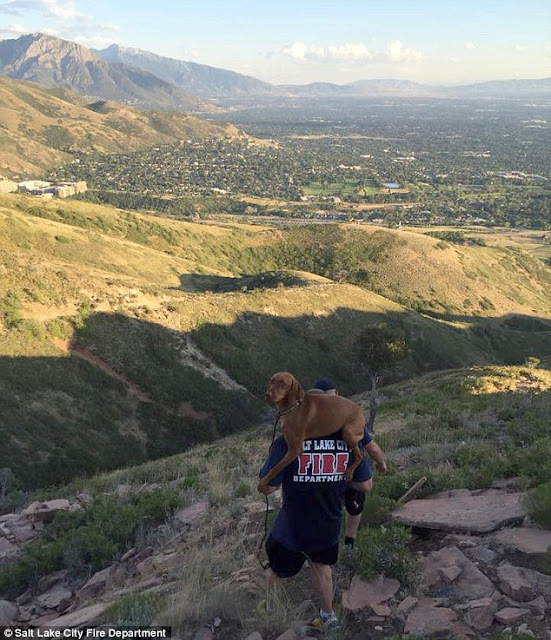 She ran far and she ran fast, eventually ascending the mountainous Shoreline Trail in an area known as the Living Room above the University of Utah. She spent a steamy summer night in that area where she had walked many times with her family and the other dog in her household. But this time, Rue was alone. 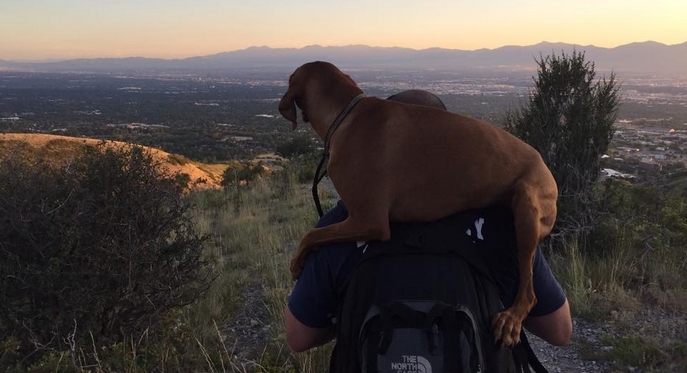 By Sunday evening, hikers spotted Rue who had suffered minor injuries including damage to her paws. She was dehydrated and unable to make the hike back down, so the hikers made an emergency phone call for assistance. Responses to "Firefighter Carries Lost Dog Off Steamy Mountain on His Back"
What a sweet dog. Glad she was found and kudos to the firefighter.